Decluttering is the least expensive and most impactful change you can make. Clear stacks of paper from counters, pull expired items from the pantry, take the party invitations off the refrigerator, recycle old magazines, and remove extra furniture. Imagine your home is being photographed for a real estate advertisement. Peer through your camera phone’s viewfinder and the clutter will stand out. Tidy every corner of your home. From closets to bathroom cabinets to the kids’ rooms, impose neatness and order. Corral the stuff that’s left in attractive storage containers. If your garage resembles an archaeological dig, rent a storage unit and remove all the junk until you can deal with it later. Even a home with dated decor gains potential when it is really clean. Sparkling windows, new caulk, fresh linens, an utter lack of dust bunnies – this attention to detail will make any house hunter feel comfortable. Hire a steam cleaner to deep-clean carpets and tile. Don’t forget the curtains, closet louvers, and under the beds. If your house smells clean, then it seems clean. Especially if you have pets, use a room-freshening spray or burn scented candles just before your home is shown. Try to pick milder fragrances such as vanilla or lavender. A house that needs a lot of fixing up throws up a caution flag, while a home that seems well-cared for is appealing. Take care of those small, odd repairs you’ve been meaning to get to. Check to see if all the lightbulbs work, and while you’re at it, replace them with brighter bulbs. Remove any broken, stained, torn or chewed-upon furnishings. Fresh paint in a neutral color can be transformative – especially for any walls with unusual or extra bright paint colors. Top it all off with a vase of flowers, new throw cushions on the couch, a pretty bedspread, and new kitchen cabinet hardware. Stand by the street and check out your house to see where improvements are needed. Really look at your yard. Is it neat? Mow and edge the grass, weed and mulch the beds, and fill in gaps in the landscape with new flowering plants. For the entry, purchase a colorful doormat, replace a ragged mailbox, find some unique house numbers, add potted plants, and paint the front door an eye-catching color. Pressure-wash the deck, patio, driveway and porch. 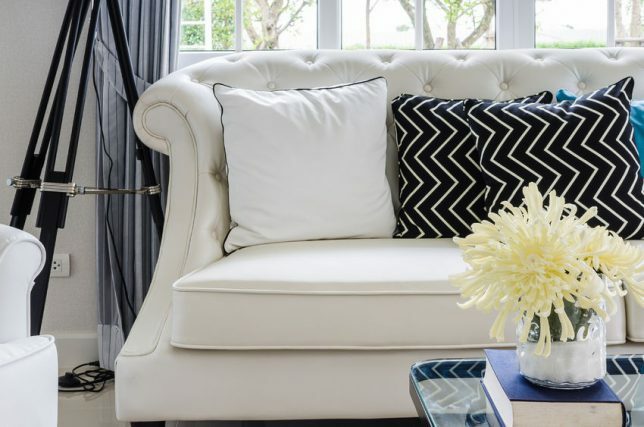 Your home-staging efforts can go a long way toward making your property more attractive at a glance, but also keep an eye out for repairs that may be needed. Taking care of repairs now instead of leaving them for potential buyers helps buyers have confidence that they’ll be making a good investment. We’ve made it easy to find professional contractors in your area who can help make your property look its best. Whether you need painting, roofing, flooring, or other work done, our no-obligation contractor matching service puts you in touch with an experienced, pre-qualified contractor. Simply enter your ZIP code above to get started now.